Magnum Electric was incorporated in 1982. We are dedicated to providing the best service possible, at the lowest achievable price. We stay abreast of the latest developments in our industry in order to better serve our customers. We specialize in commercial and industrial construction. About fifteen percent of our work is time and materials contract work, seventy percent is obtained by competitive bidding, the remainder is service work. We have installed fiber optics, LAN wiring, voice cabling, CATV systems, security, surveillance, fire alarm systems, and HVAC control wiring. We are located in Southeastern Washington and primarily focus on work in our local jurisdiction, which is about a one hundred mile radius. We have worked as far away as Kalispell Montana, Lewiston Idaho, The Dalles Oregon, and Bend Oregon. We also work at the Hanford site (DOE). We have all necessary programs in place to work on Government sites such as this. We are willing to take any training that may be required for work that we are not currently certified for. We are continually upgrading our equipment and implementation methods to keep up with the advancements in our industry. We also endeavor to keep up with the new developments in the office by using whatever computer software that is available that benefits us and our customers. We are more than willing to work with customers to assist them in designing their facilities. We can work with AutoCAD, help layout and design lighting systems, power distribution systems, motor control systems, as well as value engineering a project to fit it in to any budget. Our first priority is the safety both of our workforce and of anyone who comes on a project that Magnum Electric is working on. Focusing on injury prevention, our comprehensive, company-wide approach is supported by ongoing education, training, evaluation, investment, and accountability. 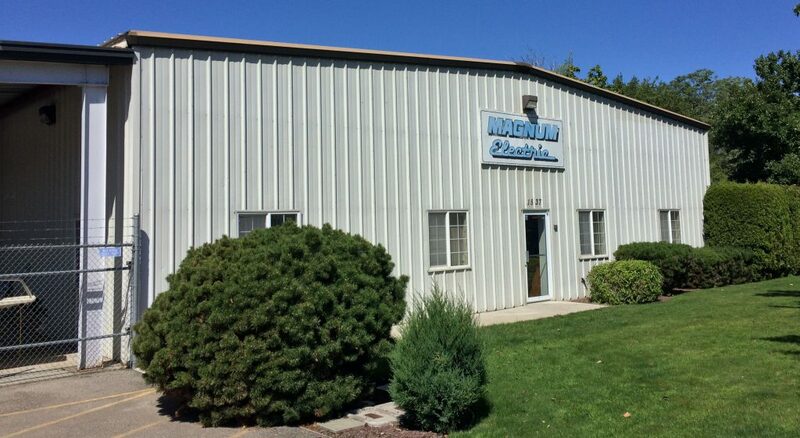 At Magnum Electric our philosophy is that of constructing with integrity and excellence. We recognize our primary asset is our people. We provide opportunity and leadership to help our people achieve their potential. We demonstrate uncompromising integrity, honesty and fairness in our interaction with our people, and we expect them to reflect these values in their delivery of your project. Magnum Electric’s expert team members including support staff, foreman, and project managers are task oriented and will keep your project on track, on time, and on budget from start-to-finish! Magnum Electric is a Washington-based company providing construction services in Washington. We offer our leadership, competence, experience and integrity to be your partner in the delivery your next project.